Richard Swift was no stranger to singing about death. “Everyone knows when they’re gonna die,” he crooned, nearly a decade ago. Though absurdist comedy often obscured the fact, death loomed over many of Swift’s best songs. In them, tombs were sealed up, ages came to an end, and people were left behind to cry in the wake of innumerable tragedies. I don’t believe Swift knew when he was going to die, but clearly, he thought a lot about the fact that he would, like we all will. I think that’s what he’s singing about on The Hex, his final record, recorded over the last couple years and finished just before his all-too-early demise. “Changing seasons young into old/turn a diamond back into coal,” over a churning bass and clattering percussion. “The hex, the hex, the hex,” he whispers like a ghost. 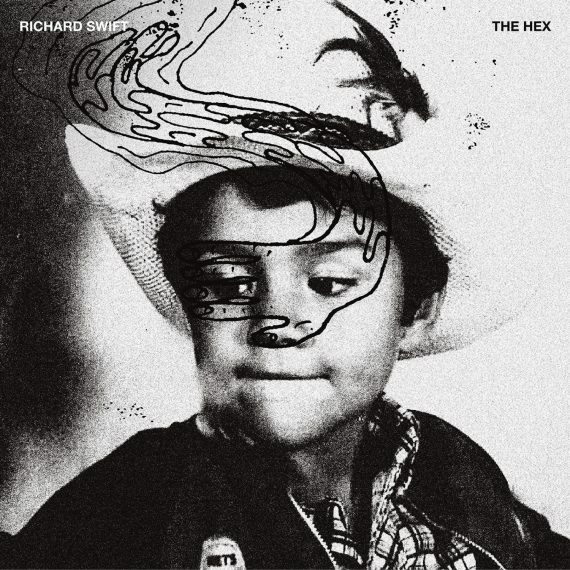 The hex for Richard Swift, the hex for me and you. Swift died on July 3rd, leaving behind a body of work as a performer, songwriter, and producer. It’s impossible not to hear his final lp without pangs of recognition. His passing, complicated by his alcoholism, hovers like smoke over the album, threatening to smother the sounds gathered here in sadness. But mournfulness on a Swift record always existed alongside absurdist glee, and The Hex is no exception. No polite note from the great beyond, it’s as weird, ragged, and messy a record as he’s ever made, encompassing scuffed up garage rock, banged up soul, hissing funk, and obscured piano pop. Fueled by rage and existential longing, it’s too ornery a record to sound anything other than totally alive. “Got the strength, believe it or not/every second is a battle I fought,” he sings, mired in self-destructive woe on the “Dirty Jim.” It’s a harrowing song, ugly truth complicated by breezy presentation. “Every color now is shining through,” Swift sings, turning bad into beautiful.